These free-standing structures are based on the architecture of “gravitational mystery spots” that are often found in fun houses. 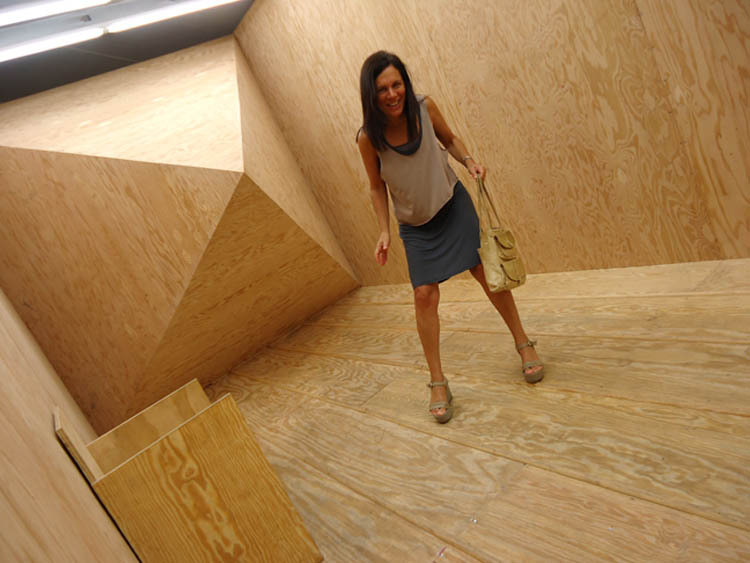 Mystery spots claim to be sites of supernatural power to explain the severe effect of disorientation and vertigo that the visitor experiences, when in reality it’s the result of an architectural trick. 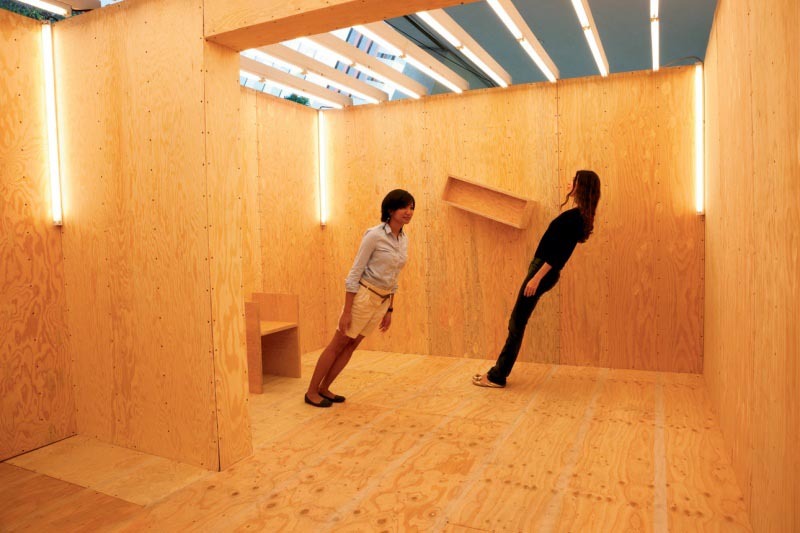 Hoeber’s installations reveal the device behind the trickery, while retaining the same effect. Julian Hoeber’s exhibit will be up at Harris Lieberman Gallery through October 6th, 2012. Photos: Art in America; soggydan; fiac; and the rest Eric and myself.